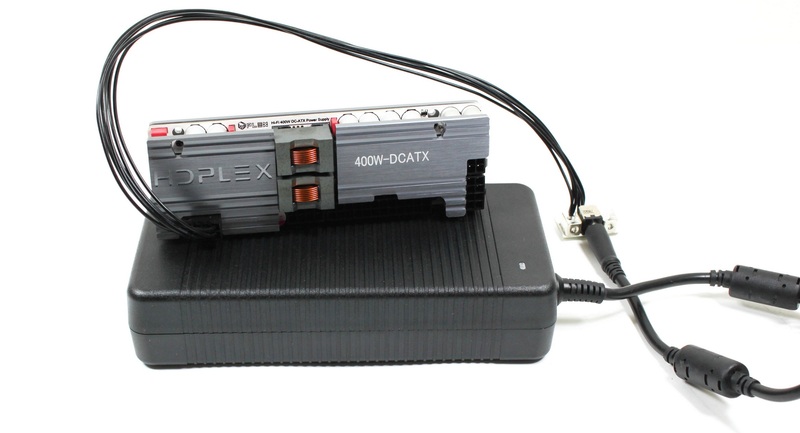 HDPLEX 400W Hi-Fi DC-ATX Converter+HDPLEX 400W AC-DC combo is a highly efficient, small, and very powerful HDPLEX nanoATX solution. This HDPLEX nanoATX combo could replace traditional bulky and noisy ATX power supply and drive system with hi-end video card such as GTX1080Ti. Popular High Power 330W AC Adapter from Dell/Alienware are also supported. 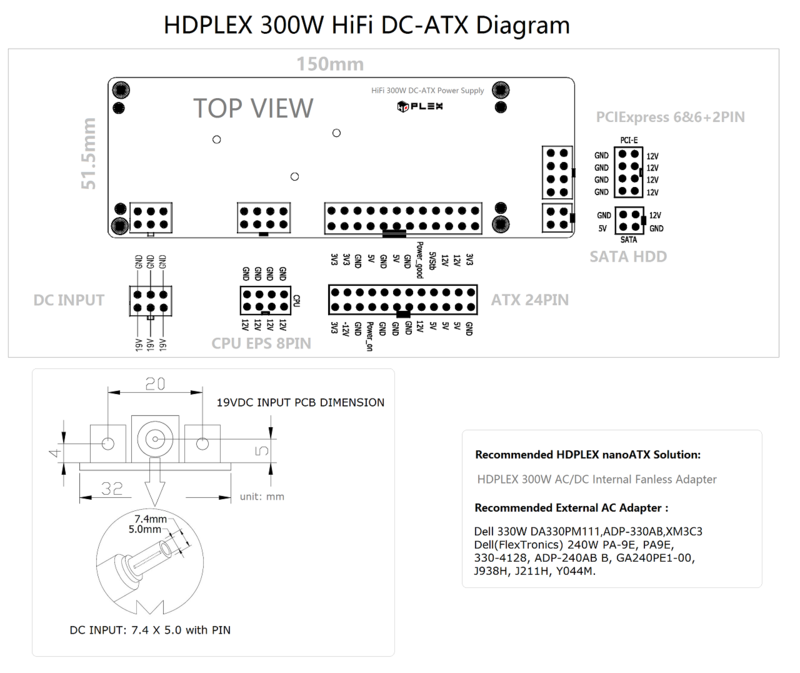 We recommend HDPLEX 400W HiFi DC-ATX Power Supply and HDPLEX 400W AC-DC with PFC combo for CPU intensive application or hi-end gaming platform with GPU such as GTX1080Ti. 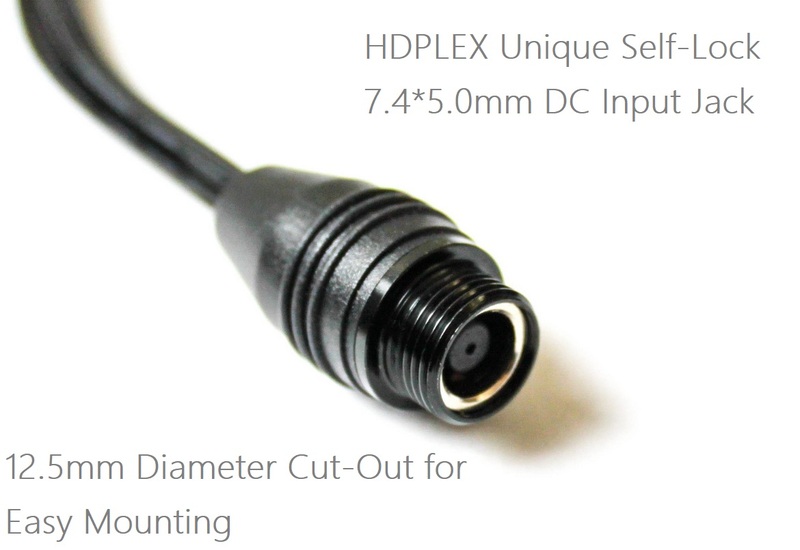 This HDPLEX nanoATX combo has very small footprint and has optional 30mm fan. 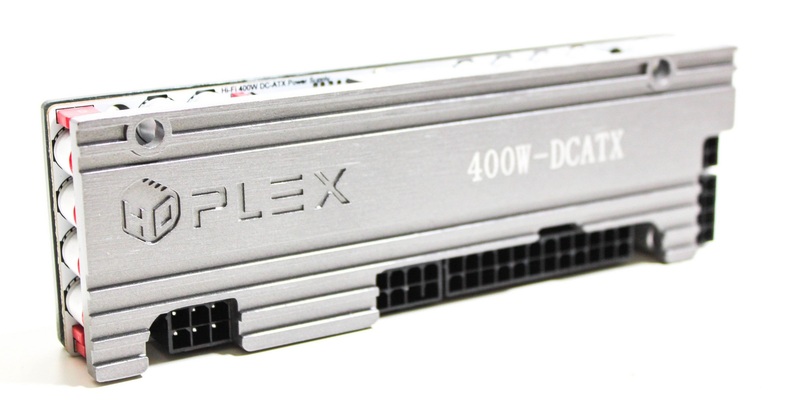 This nanoATX solution could also achieve above 85% efficiency at full load thanks to the HDPLEX 400W AC-DC active power factor correction feature. 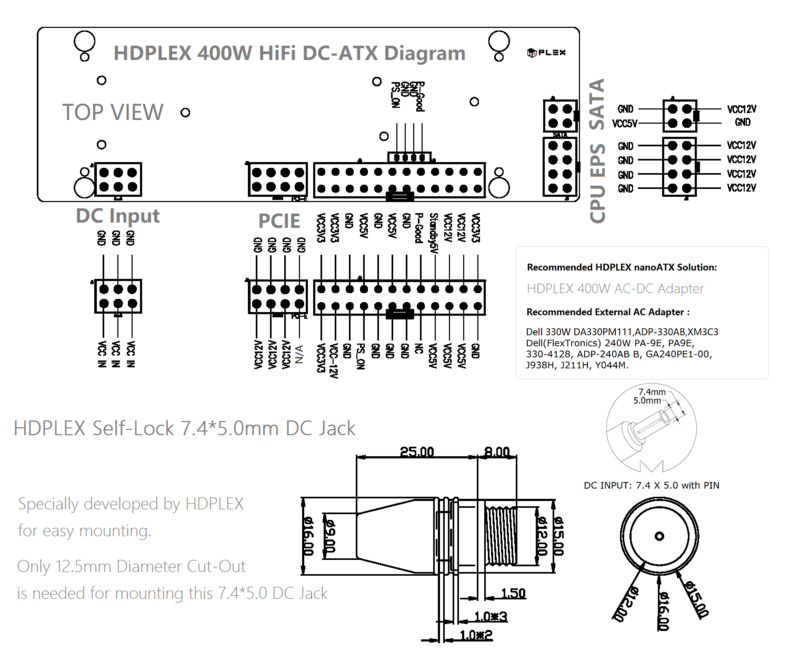 HDPLEX HiFi 400W DC-ATX can also work with HDPLEX 160W AC-DC adapter. 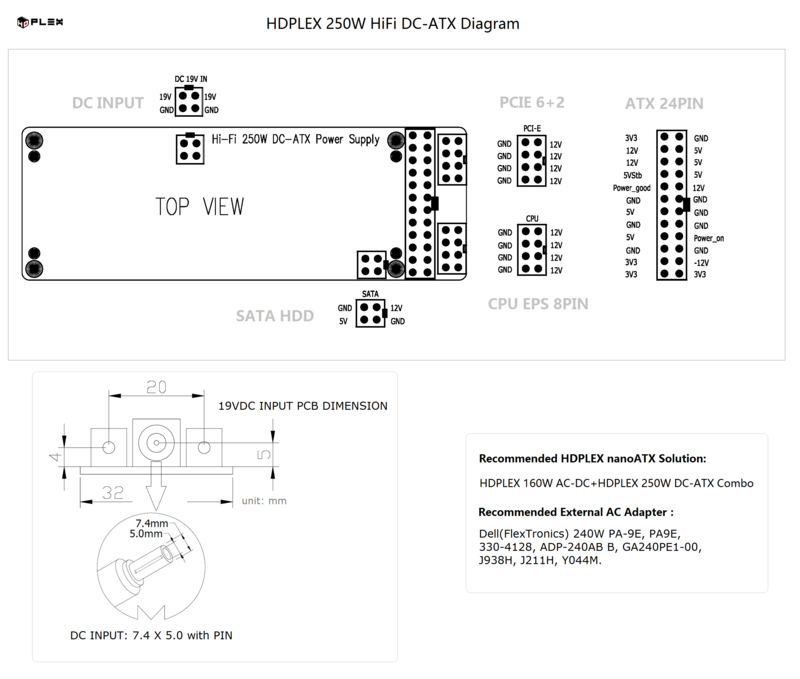 We recommend HDPLEX Hi-Fi 400W DC-ATX Power Supply with high wattage 19V laptop adapters for CPU intensive application or mid range gaming platform. 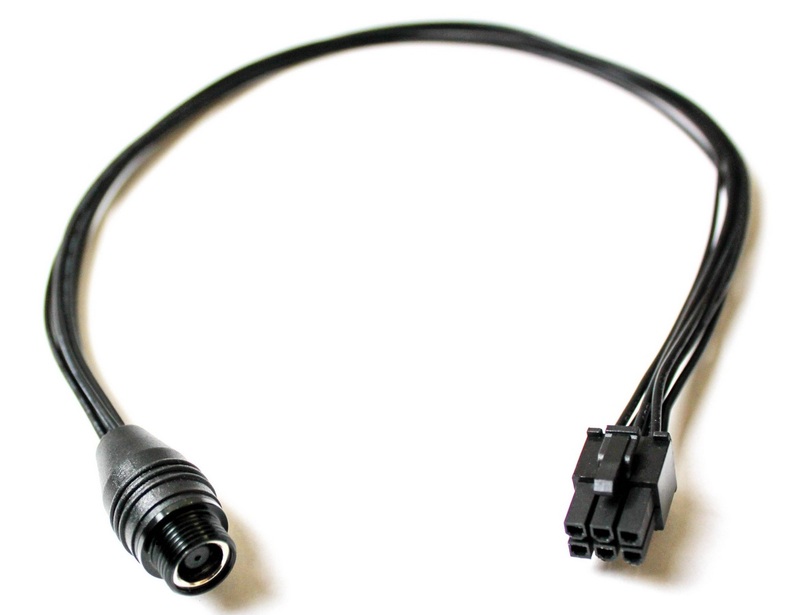 Recommend High Power 19V Output Laptop Adapters : Dell 330W DA330PM111,ADP-330AB,XM3C3 Dell(FlexTronics) 240W PA-9E, PA9E, 330-4128, ADP-240AB B, GA240PE1-00, J938H, J211H, Y044M. For PC audio users, we recommend this 400W Hi-Fi DC-ATX Power Supply board due to its low ripple noise feature. 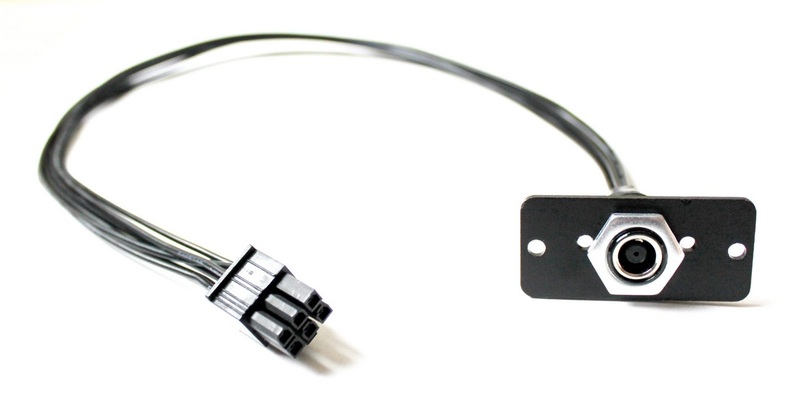 Coupled with HDPLEX 200W Linear Power Supply, this combo will offer unsurpassed clean power, free of high frequency noise commonly seen in switching ATX power supply.